Stella graduated from Central St Martins in 1995. She launched her eponymous fashion house and showed her first collection in Paris in October 2001. A lifelong vegetarian, Stella McCartney does not use any leather or fur in her designs. Her collections include women’s ready-to-wear, accessories, lingerie, eyewear, fragrance and kids clothing. Her sustainable eyewear collection is the result of research into the use of raw materials from natural origins such as castor-oil seeds and citric acid. The collection is made from over 50% natural and renewable resources. Her commitment to sustainability is evident through out all her collections and is part of the brand’s ethos to being a responsible, honest and modern company. She also, like me, is a big believer in trying your hardest to do what you can in order to bring change. Lots of little steps grow into large steps - if you don’t take any steps because you think that whatever you do will be insignificant, THAT’s when we really have problems! "Honesty goes hand in hand with responsibility. We know that we aren’t perfect. We also know that sustainability isn’t just one thing, it isn’t just organic cotton – it’s organic cotton, plus wind energy, plus not using PVC, plus thousands of other little steps that eventually make a more sustainable company”. So, why is Stella McCartney up here in my top 5 list? Well, given her family back-ground, and face it, you don’t get one much more famous than hers - instead of just becoming a celebrity brat always chasing the headlines, she has used her evidently huge design talents to produce wonderfully innovative fashion and, better still, has stayed true and loyal to her family’s ethical way of consuming - what better testament could a child give in the name of her late mum! In response to the avoidable tragedy in the Rana Plaza factory complex in 2013 where over 1000 fashion textile workers were killed and over 2500 injured Carry and like minded illuminates of the Fairtrade and Ethical fashion world came up with the idea of Fashion Revolution Day which exploded onto the social networks a year later on April 24th 2014. Carry Somers had her light bulb moment as she was lying in the bath trying to come to terms with news of something she had known for years would inevitably happen, a fact which only added to the horror she felt. Why hadn’t people listened or cared? As founder of fashion and accessories brand Pachacuti, one of the first truly transparent and ethical fashion brands in operation since 1992, Carry is a pioneer of Fair Trade and ethical fashion in the UK. Her initiative resulted in tens of thousands of people from 60 countries worldwide turning an item of clothing inside out (#insideout) and asking the question ‘Who Made Your Clothes?’. People tweeted photos of themselves wearing their clothes inside out and the movement went viral becoming the No 1 global trend on Twitter. 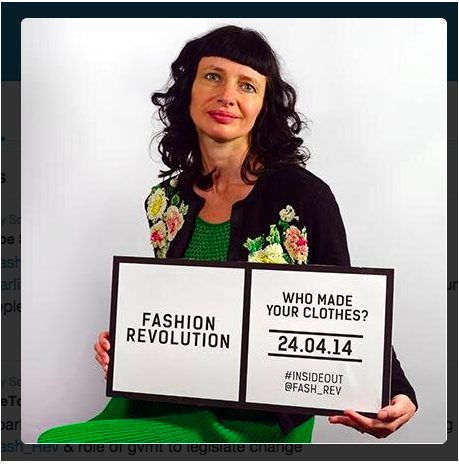 Fashion Revolution Day celebrates best practice in the wonderful world that on so many levels IS the fashion world and it also highlights the most pressing issues and campaigns for vital changes in the production of so much of what we wear - both socially and environmentally. They’ll be doing it all again on April 24th 2015, so all you revolutionaries out there, please put it in your diaries and sign up and be part of the sea of change. They launched the “Orphans for Orphans” mission, which supports children in need of basic essentials such as nutrition, shelter and education, The Gandys Foundation started in Summer 2013 as a focal point for people to donate to the mission. 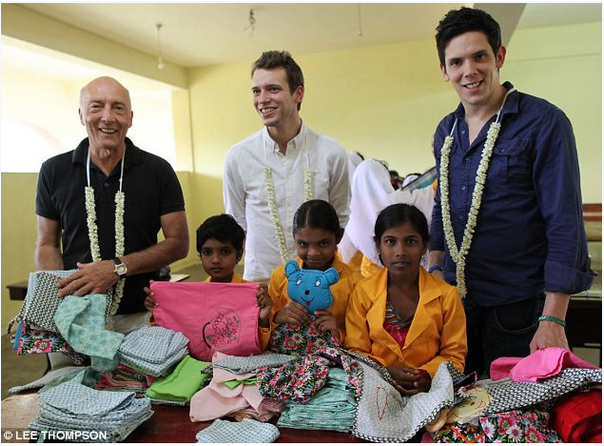 100% of donations to the Foundation go towards building, funding and running children’s homes in India and Sri Lanka and the vision is to open homes all around the world. I particularly love their ‘Share the Love’ idea where if you refer your friends to Gandy’s, the company will donate an additional £5 to the Gandy’s Foundation upon each new purchase. I’d really like to do something similar and am looking into ideas to put into action. 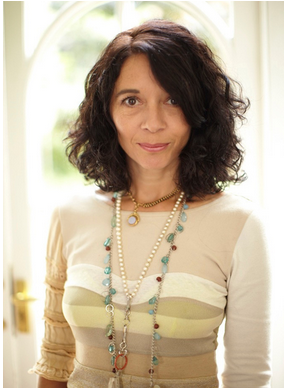 Orsola de Castro is the founder of From Somewhere the pioneering eco fashion label which produces beautiful clothing from recycled offcuts of luxury materials. Orsola curates Estethica, an initiative in association with the British Fashion Council showcasing eco-fashion brands. With Filippo Ricci she also initiated Reclaim to Wear as a way to design beautiful clothes made entirely from discarded materials and remnants, such as stock, designer surplus and production off-cuts. Reclaim To Wear brings designers, retailers and the industry together to create zero waste up-cycled collections that have a strong environmental commitment through great design innovation. 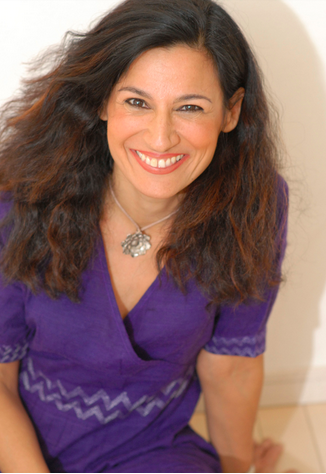 Safia Minney is the founder and CEO of People Tree, a Fair Trade and environmentally conscious fashion label that produces gorgeous clothing. She is also a well noted spokesperson on Fair Trade and ethical fashion and has won loads of awards and accolades, including the MBE. She helped start the World Fair Trade Day and co-wrote the book, Naked Fashion. “Rather than being part of the problem, we can be part of the solution. It seems like a very small thing but, choosing a t-shirt or a dress made of organic cotton rather than conventional cotton made through Fair Trade can make a big difference. The environmental impact of fashion is something that should concern us all. "it is easy to throw up our hands in despair and feel powerless. But at least in the area of supporting Fair Trade fashion and organic fabrics, we have something clear and positive we can do. Every time you opt to support Fair Trade or organic clothing you are helping to empower farmers, artisans and communities – and importantly putting preserve on the fashion industry to clean up it’s act." Who are your favourite fashion pioneers? Who has inspired what you wear?